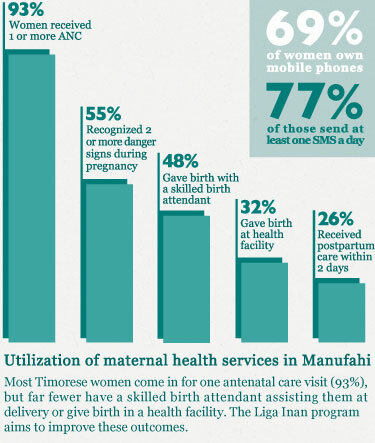 The Liga Inan program, Timor-Leste's first mHealth project, is changing the way mothers & midwives stay in touch. Liga Inan is using mobile phones to connect expectant mothers with health providers in Timor-Leste to improve the likelihood of a healthy pregnancy, birth and post natal period. Officially launched in March 2013, Liga Inan is implemented by Health Alliance International (HAI) and Catalpa International, in partnership with the Ministry of Health. The pilot of the Liga Inan program was funded by USAID’s Child Survival and Health Grants Program, with the Australian Government now funding the further development and expansion of Liga Inan across Timor-Leste. Liga Inan cuts across geographic barriers to directly connect women to better health care in a country with high maternal and neonatal mortality. Health providers use a mobile phone to register expectant mothers, track their progress, know when they go into labour and make arrangements for attending the delivery. Mothers continue to receive support through the first six weeks of the newborn's life. Liga Inan also sends automated promotional health information via SMS to all registered pregnant mothers throughout their pregnancy and for six months after delivery to help them make better decisions about their pregnancy and link them with regular pre and post-natal care. Liga Inan recognises that a simple message can often make the biggest difference. The Liga Inan program is changing the way mothers & health providers stay in touch. See some first hand accounts of how Liga Inan is changing the way expectant mothers access health care in Timor-Leste. Many women in Timor-Leste live in remote and rural areas, which makes it difficult for them to access health facilities and providers. As a result, many women find it difficult to get good advice and support to improve their chances of having a safe pregnancy and healthy baby. As soon as they have their first prenatal visit, women in the program start receiving twice weekly advice and reminders about what to expect at each stage and how they can best assure a happy outcome of their pregnancy. Reminders will encourage them to attend the four prenatal visits that are recommended for full coverage of services. "Ana, have you been taking your iron pills every night after dinner?" "Meat, fish, eggs and vegetables are good during pregancy. " "Hi Maria, when is your baby due? Make a birth plan with your family." "Has a midwife visited to give immunizations & check your baby's health?" 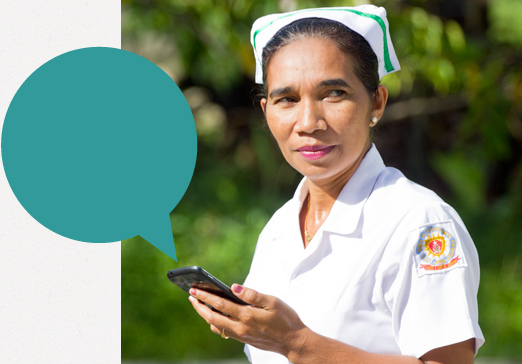 Liga Inan enables health providers to broadcast useful health messages from their mobile phones to women and communities in Timor-Leste. One of Liga Inan’s innovative functions is that it allows health providers to broadcast community specific health messages to their registered patients. A health provider can write a message in her own style, and by sending the SMS to the Liga Inan system it will be broadcast to all her registered patients. She can even segment her patient group, for instance by sending an SMS only to mothers in one village. Health providers can use local dialects to inform mothers about relevant local events, such as vaccination campaigns and mobile clinic schedules. This community messaging function promotes independent action by health providers and enhances the effectiveness of the system by linking pregnant women with a familiar social network that incorporates their needs and reflects their values. 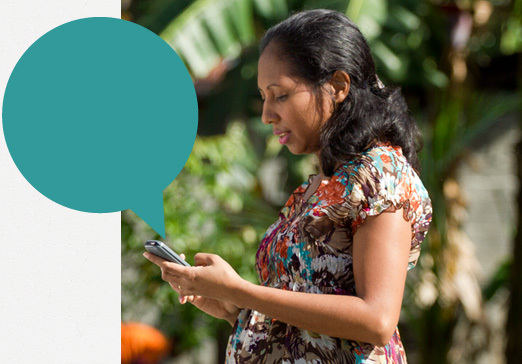 Pregnant women may have questions that are not answered by the regular SMS messages they receive, or the custom messages from their health provider. 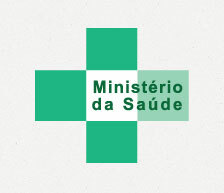 The Liga Hau (“Call me”) function allows pregnant women to request a call from their health provider. Project managers monitor the Liga Hau requests to find out about the issues that are of most concern to women. This means health providers can constantly improve the quality of information sent to pregnant women and better meet their needs. Liga Inan also sends SMS messages to inform health providers when their patients are nearing their delivery date. Health providers are prompted to call their patient to confirm her delivery plan. "Fatima from Alas, due 11.06.13 would like to talk to you"
"You have three expected births this week -- Amelia, Elda & Rosa"
Liga Inan was initially funded by the United States Agency for International Development as a pilot project in Manufahi Municipality in 2013. As such, Health Alliance International designed a research plan to evaluate the impact of the Liga Inan program. The research design included intervention and control municipalities where baseline and final Knowledge, Practice and Coverage surveys comparing pre- and post-intervention time periods were conducted. 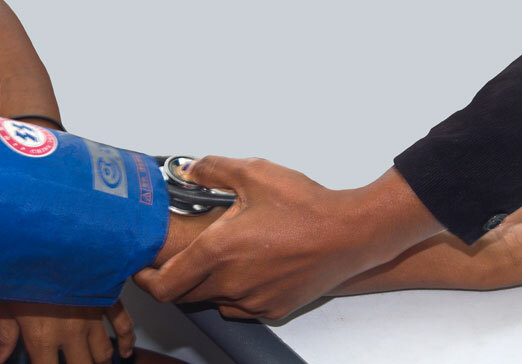 The Liga Inan mobile health intervention was carried out only in Manufahi Municipality; Ainaro Municipality served as the control site where Liga Inan was not implemented. 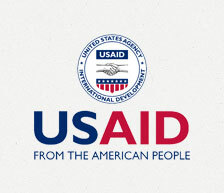 Households with women who had children under the age of two were randomly selected to participate. A total of 1,184 women were interviewed. © 2017 Catalpa International, Ltd. All rights reserved.